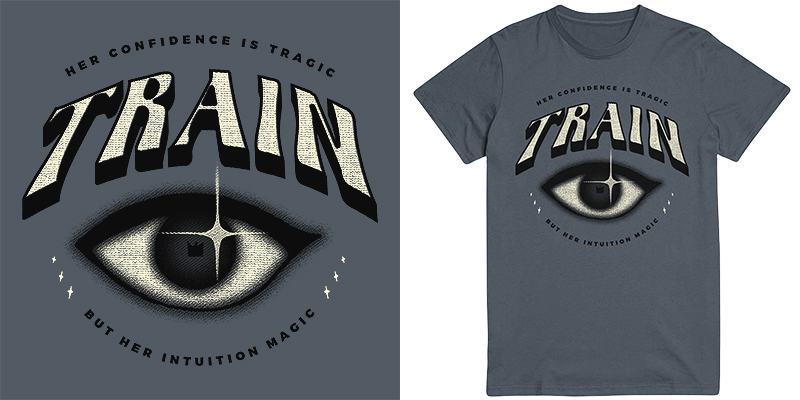 Proposed merch design for Train. Design for sale, text & colors can be changed. Email eric@ericjbryant.com for info.